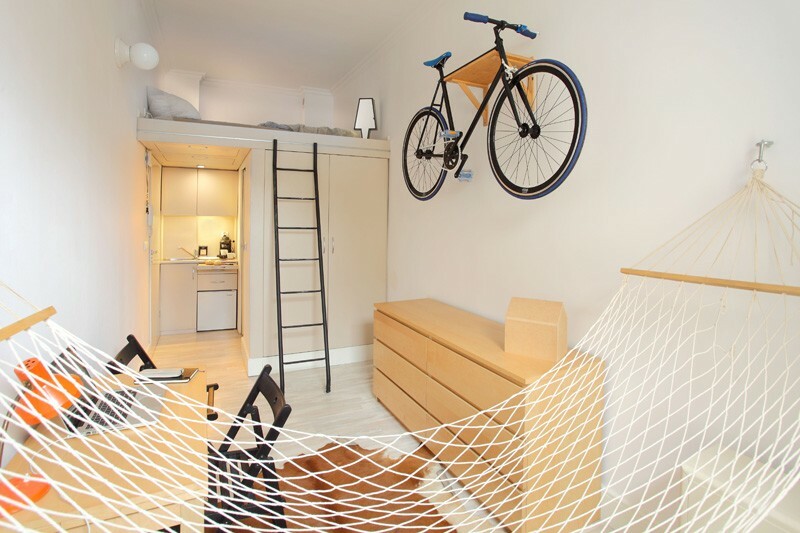 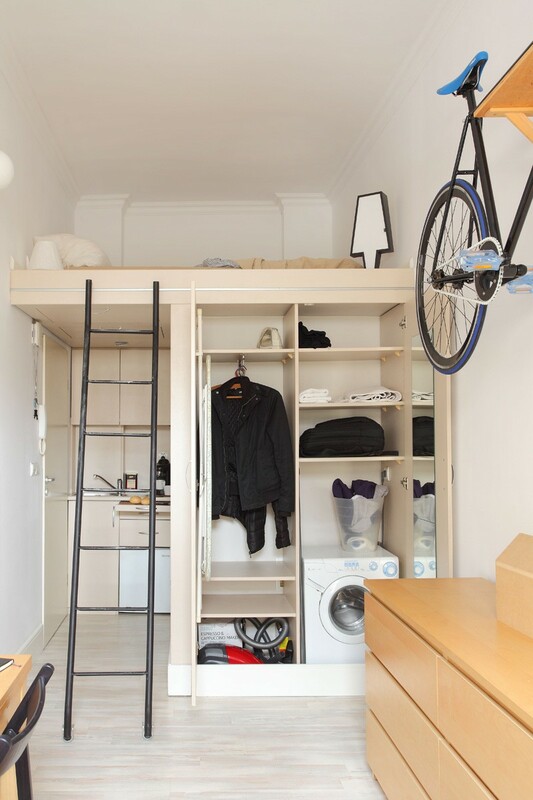 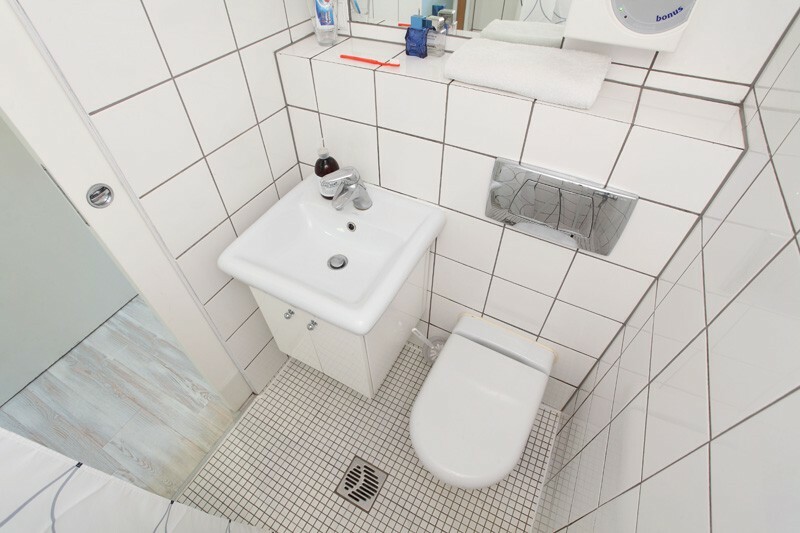 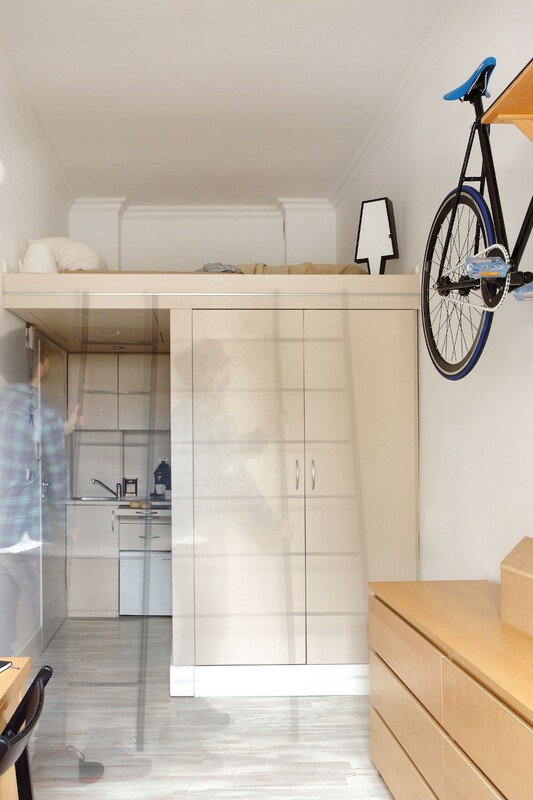 Small 13 square meters (139 sq feet) apartment in Poland! 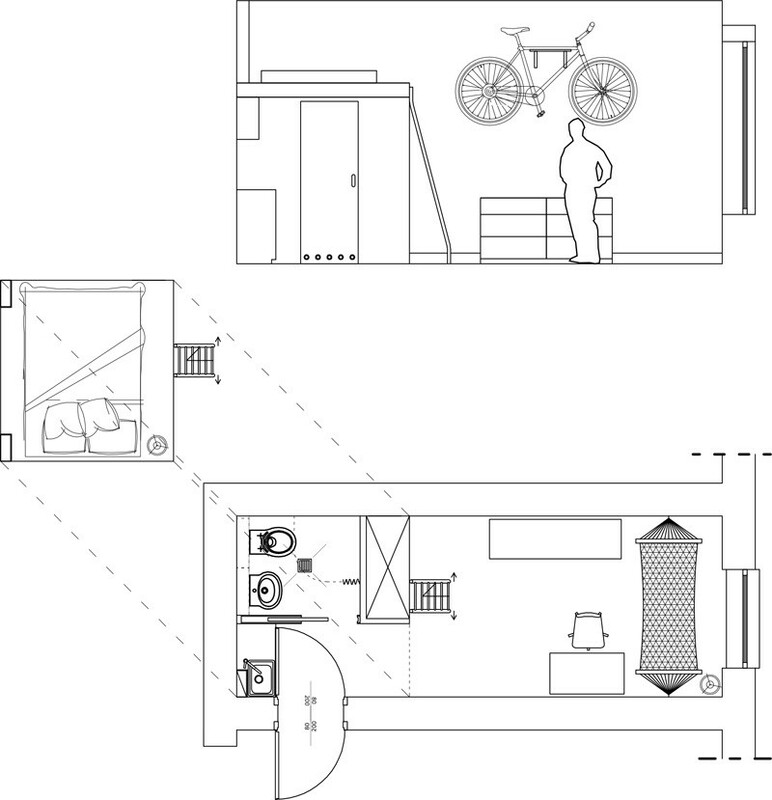 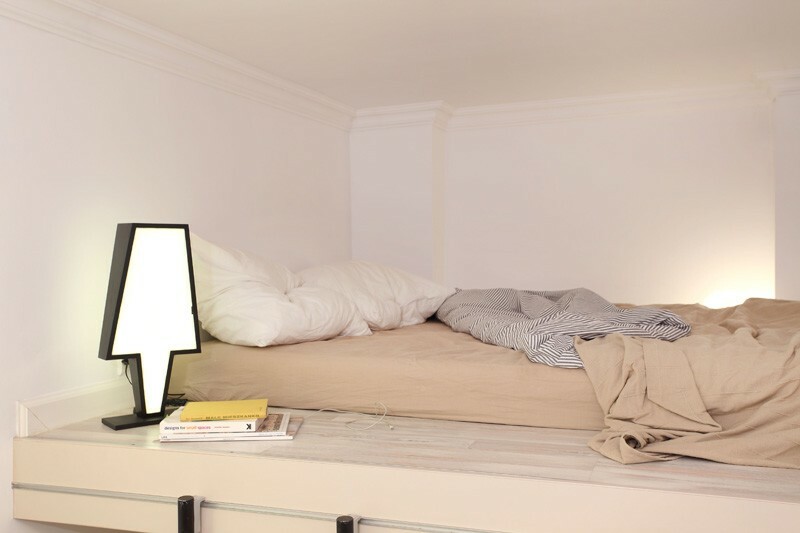 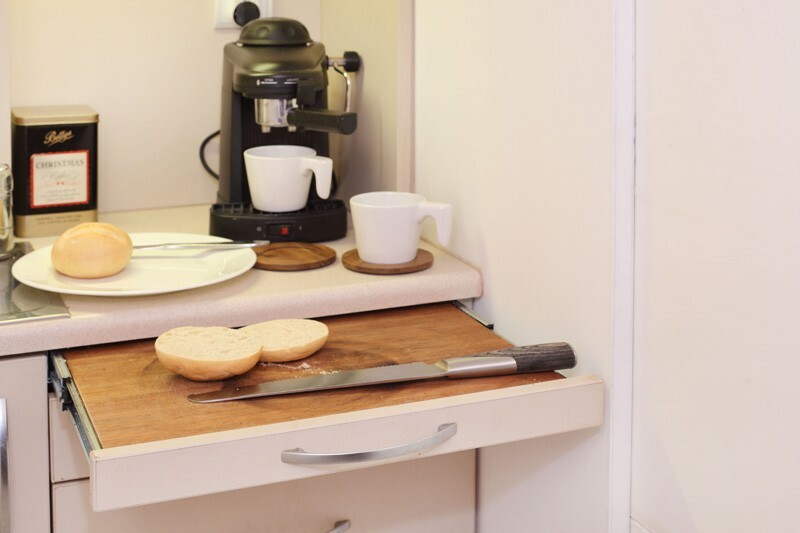 The tiny apartment accommodates a small kitchenette, a bedroom, a bathroom and even a hammock. 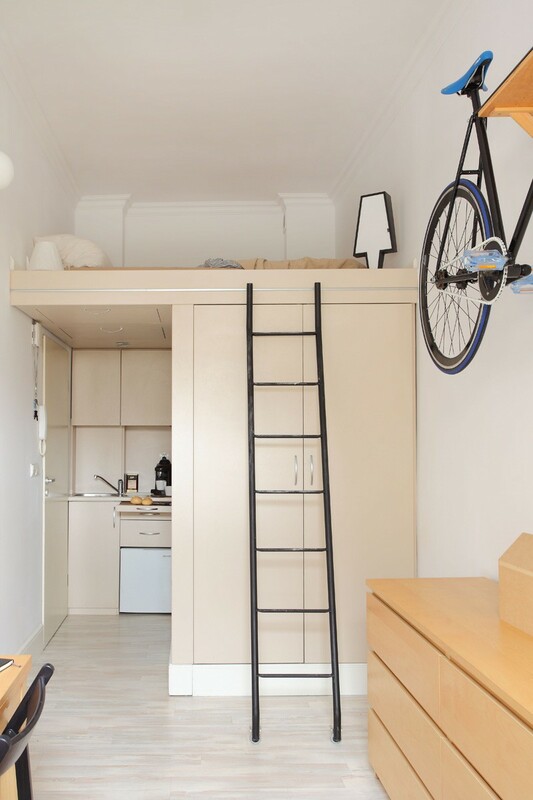 A bike seems to reign over the space, helped by a suspended rack, perfectly integrated in the overall design scheme. 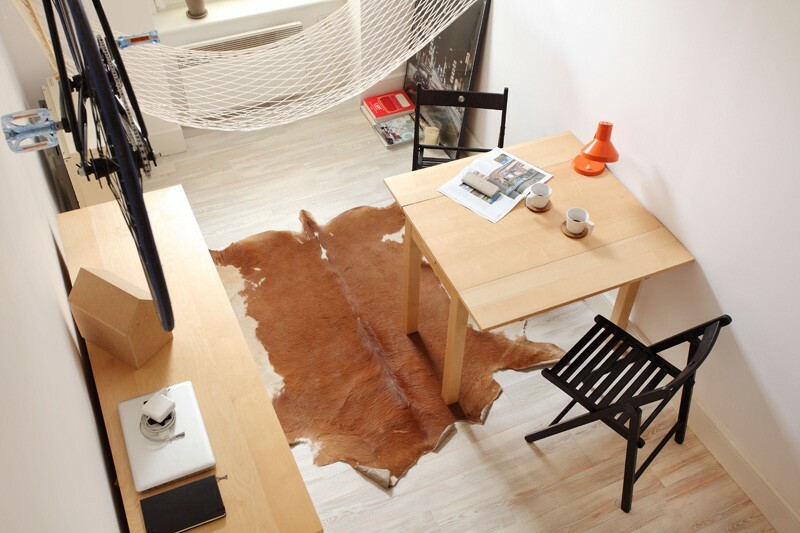 Beige and white were used to expand the space and a Young Poland style leather carpet was added to break the minimalism.